As Maryland’s medical cannabis program continues to grow and thrive, new and exciting products are now appearing on dispensary shelves. CBN patches and CBG tinctures are some particularly noteworthy additions. Most patients are very familiar by now with THC and CBD and their medical benefits, but may not know exactly what to use these lesser-known cannabinoids for. Here is a run down on some important cannabinoids and their benefits. Cannabigerol (CBG) is the natural precursor to both THC and CBD, and usually gets converted by plant enzymes in the trichomes. Certain cannabis strains are being grown which have higher CBG content than others, and CBG tinctures and extracts have even been popping up on dispensary menus as well. CBG has no psychoactive effects, but like THC it can stimulate appetite. Also similar to THC, some preliminary animal studies have shown that it can reduce intraocular pressure in glaucoma. This was only when used chronically, but it may be a good alternative for those trying to supplement their glaucoma medications without getting ‘high’. Cannabigerol has other benefits that make it stand out when compared to THC and CBD as well. For those suffering from inflammatory bowel diseases, it reduced inflammation by affecting numerous molecular pathways in the gut. Dysfunctional bladder contractions are also reduced by CBG (as well as THCV, which we’ll cover later) in another animal study. Patients with interstitial cystitis or bladder problems may find some benefit by seeking out this cannabinoid. It also seems to have neuroprotective benefits, making it helpful in multiple sclerosis. 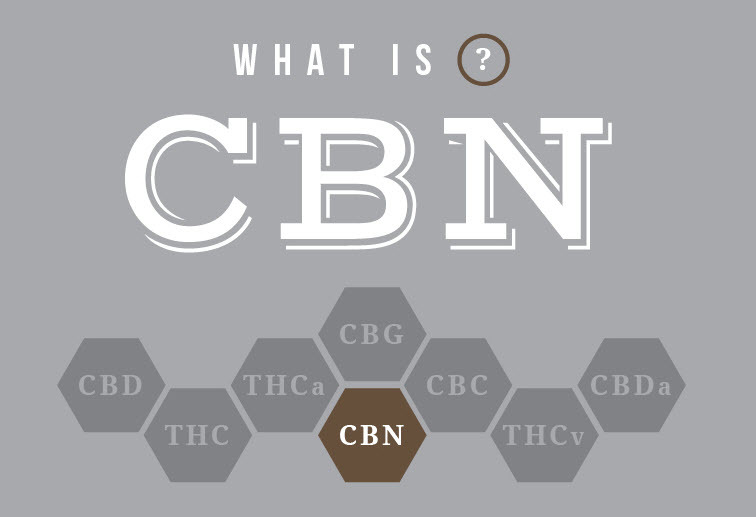 Although Cannabinol (CBN) is a direct metabolite of THC, it does not induce any of the psychoactive effects of its parent molecule. Overcooking cannabis or storing it for very long periods of time can cause significant amounts of THC in the plant to convert to CBN. Some plants are also naturally higher in CBN than others, and dispensaries are starting to carry CBN extracts – particularly for their benefits as a sleep aid. According to Steep Hill Labs, 2.5 to 5 mg of CBN is actually equivalent to a standard dose of the common sedative/hypnotic diazepam. Like THC, it also has benefits for intraocular pressure and can provide benefits for patients suffering from glaucoma. CBN seems to improve appetite in some animal studies as well, though more research needs to be done in humans. This cannabinoid also seems to synergize quite well with THC to provide pain relief through a specific receptor pathway. All these benefits could make CBN-rich products a good evening alternative for symptom relief without the psychoactive ‘high’. Though it may have THC in its name, tetrahydrocannabivarin (THCV) has some very unique effects. THC strongly activates CB1 receptors in your body, which are largely responsible for feeling ‘high’ when activated in your brain. However, low doses of THCV actually antagonize these receptors. This means that at the right levels, it can act as an appetite suppressant. THCV can also help with panic attacks and reduce tremors in Parkinson’s, according to Steep Hill Labs. At much higher doses, however, THCV can become a pyschoactive CB1 agonist just like THC. For now this isn’t really an issue since it makes up such a small percentage of the total cannabinoids in the plant. Even THCV-rich strains like Durban poison only contain up to 1.8% THCV, so until it becomes available as an extract, patients will still get it’s unique benefits. It’s also important to note THCV may require higher vaporizer temperatures of 428 °F (220 °C) to reach the boiling point and fully deliver it when inhaling. 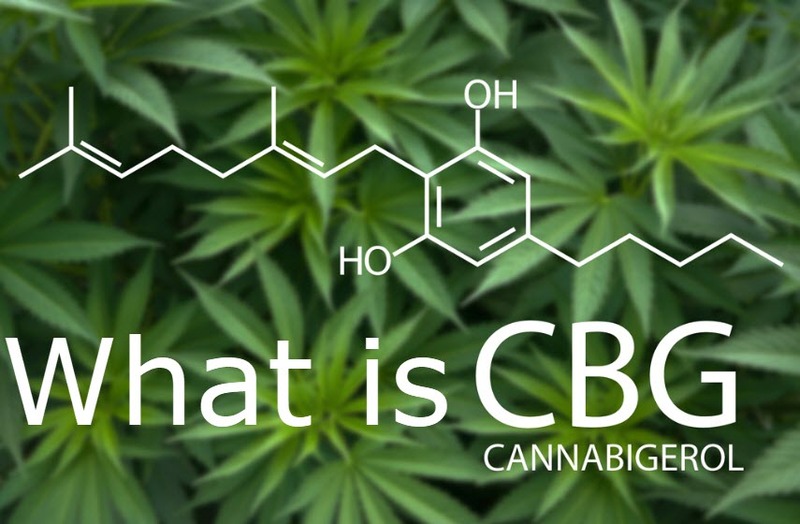 Cannabichromene (CBC) is another molecule derived from CBG, but it is much less common in the plant. It has no psychoactive effects and is overall a poor CB1 receptor activator. However, there are potential benefits for pain due to actions at other receptors involved in pain besides just CB1 and CB2 receptors. CBC may also be helpful for those suffering from depression, so it’s worth exploring despite its relative difficulty to find. While some of these minor cannabinoids may only be present in small concentrations, be sure to keep an eye out for them on product labels – especially if you feel like your current regimen isn’t working as well as you’d hoped. As more extracts of these products arrive in Maryland dispensaries, we’re excited to find out what kind of benefits they bring to our patients. Green Health Docs provides patients with guidance when it comes to different cannabis strains and cannabinoids, as well as dosing and delivery methods. For more information or to learn how to become a legal medical marijuana patient, call or text us at 240-356-1000 (Maryland residents) or 614-269-3085 (Ohio residents). Cannabis Apps You Should Know About!